Landscaping rocks accent your garden or backyard, creating borders and pathways and giving a wild yet structured feel to the landscaping. There are a variety of ways to move these rocks, which depend on the size, weight and distance you want to move them. 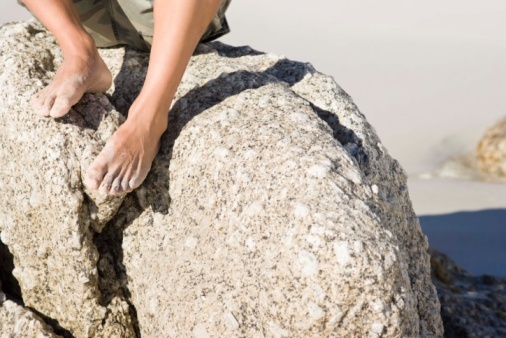 You can move many of these rocks by hand or carry them with two hands from place to place in the garden or backyard. This is usually a good plan for small or medium sized rocks that will line a pathway or border a pond. Bend with your knees and lift with your legs to avoid straining your back muscles. However, this is tiresome and back-breaking work even when done correctly so enlist or hire someone to help you. Fake rocks that are heavy enough to stay put during heavy winds are another solution for landscaping without putting too much strain on you. The wheelbarrow is an efficient way to move heavy objects around a yard or garden without causing excess harm to the yard or garden itself. 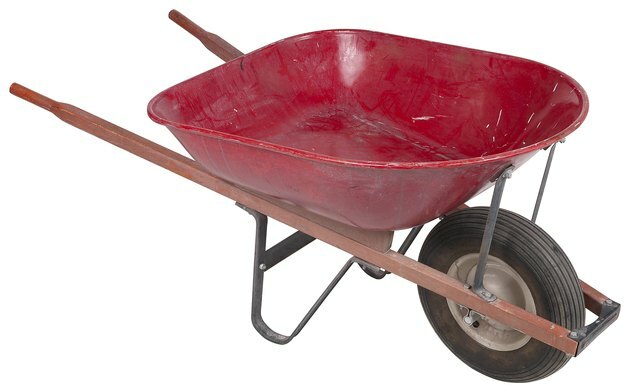 Load the wheelbarrow with heavier or larger rocks, which might require some help from someone else working with you. Then transport these rocks across the yard by lifting and pushing the wheelbarrow, carefully tracing around beds of flowers and plants with the single wheelbarrow wheel. Make sure the tire on the wheelbarrow is properly inflated for maximum efficiency. Also, practice moving the wheelbarrow around the yard before you load it, so you have a feel for the balance. For large slabs of landscaping rock, you may need a flatbed truck to deliver the rock to your location, where workers can drop it off on properly secured shipping flats in your backyard. You can then carry these slabs into the yard with the help of others or by transferring one or two rocks at a time to a wheelbarrow. If the landscaping project is big, then you may need a forklift or small crane to lift and set the large slabs of rock down in the proper place.